Description:At Lockheed Martin Rotary and Mission Systems (RMS), we are driven by innovation and integrity. We believe that by applying the highest standards of business ethics and visionary thinking, everything is within our reach and yours as a Lockheed Martin employee. Lockheed Martin values your skills, training and education. Come and experience your future! Design and perform assessments, troubleshooting and analysis of new and existing training devices. Create, maintain, and review Electrical Drawings including Electrical Schematics, Cable Drawings, and others electrical documentation. Support production environment in researching obsolescence COTS and customer hardware to meet production requirements. Support development of new training devices leveraging existing hardware architecture. Applies technical knowledge to solve complex problems by interpreting design drawings, manuals or simulator documents. Design and configure training devices and systems to meet both CONUS and/or OCOUNUS requirements of various countries. Maintaining simulation devices to meet availability specifications. Isolates and reports malfunctions and discrepancies to the lowest definable levels. May be required to assist with installations, tests, and maintenance of system-layered hardware and software packages at customer sites. Develop and support proposal and BOE preparation activities. Comply with site policy and procedures. Able to work in a fast-paced environment to stringent deadlines. In addition, duties may include development of technical reports, plans, procedures for qualification test and evaluation of redesigns and prototypes to ensure compliance with customer objectives. Bachelors Degree in Electrical Engineering. 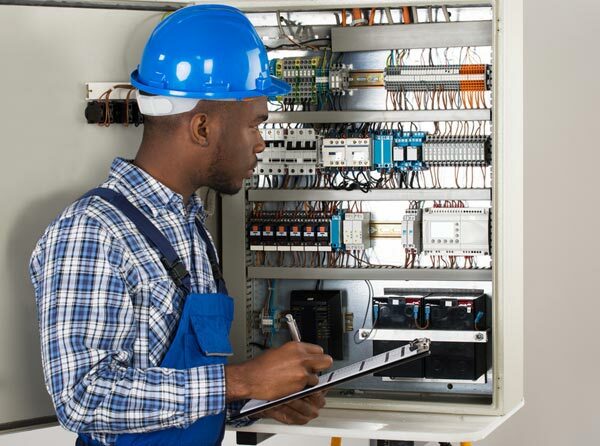 Proficient with electronic systems schematic interpretation, electrical circuit design, electrical cable design, and equipment troubleshooting. Proficient in Zuken E3 electrical cabling and schematic capture CAD tool is highly desirable. Operation and use of standard test and measuring instruments. Willing to travel to support technical tasks, system installations, modifications, testing, and have a valid driver's license. Must have the ability to receive and maintain a DoD Secret clearance. Working knowledge of MS Word, Excel, PowerPoint, and Project. Possess good oral and written communication skills; and be self-motivated in performance of duties with limited supervision. Must be capable of establishing and maintaining a courteous relationship with all customers. Familiarity with computerized maintenance management software programs/products. Experience with simulation training devices. Experience with asset management and hardware integration, and services in support of a simulator training environment. Familiarity with hardware development, manufacturing, integration and test. Familiarity with obsolescence planning / management / triage. Familiarity with Engineering Change Control Processes, Zuken E3, EPDM, and Visio.